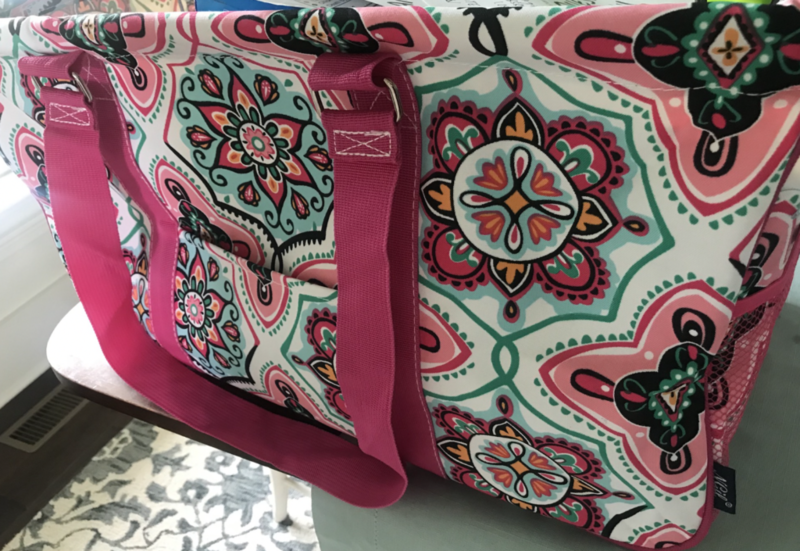 May 16, 2018 by Laurie Leave a Comment This post may contain affiliate links, which means if you click on a link and purchase something, I may earn a small commission (at no additional cost to you.) See my disclosure policy HERE. USE THE CODE PPP25 to save 25% off with these menu plans at checkout! 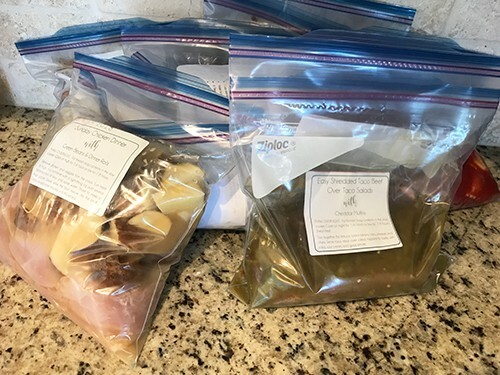 Go HERE to get yours so you'll be all set this weekend to start cooking for summer, and remember THIS WEEK ONLY when you sign up for the annual plan you'll also be included in our first ever PPP Private EAH Group. I've spent this afternoon getting ready for graduation weekend + have my youngest's gymnastics banquet tonight, so goodness, I'm so glad to at least know dinner is done. So what's in my big bag? 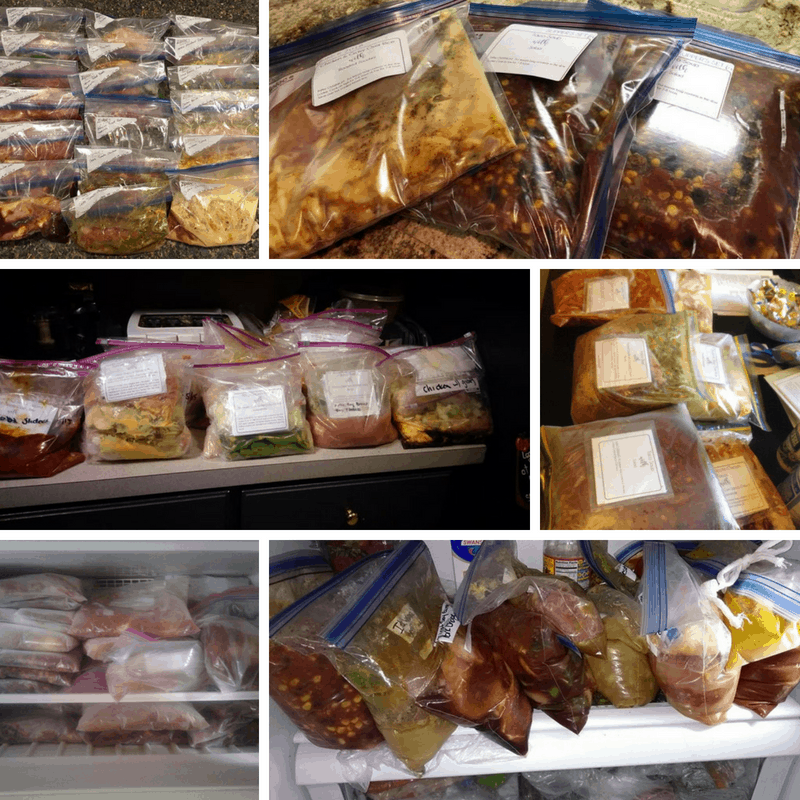 A whopping THIRTEEN FREEZER MEALS done for the summer. (I would have 18 today, but I gave away a few, and we've already eaten two.) 🙂 Tomorrow I'll make my last 6, so I'll have 19 done this week! Since most of these easily feed our family with oodles of leftovers, I'll easily get 25-30 meals this summer completely finished out of these few days of work. I couldn't be more pleased with that! THESE ARE AMAZING FREEZER MEALS THAT EVERY DAY MOMS (and a few DADS!) LIKE ME HAVE MADE TO ROCK THEIR SUMMER THIS YEAR. AND …. YOU'LL GET 72 RECIPES + A DESSERT EACH WEEK + GROCERY LISTS + MENU PLANS FOR A SMALL OR LARGER FAMILY + PRINTABLE FREEZER LABELS + AN EXTRA YEAR OF FREEZER MEALS ~ WAAAAAY BETTER THAN JUST A COOKBOOK! 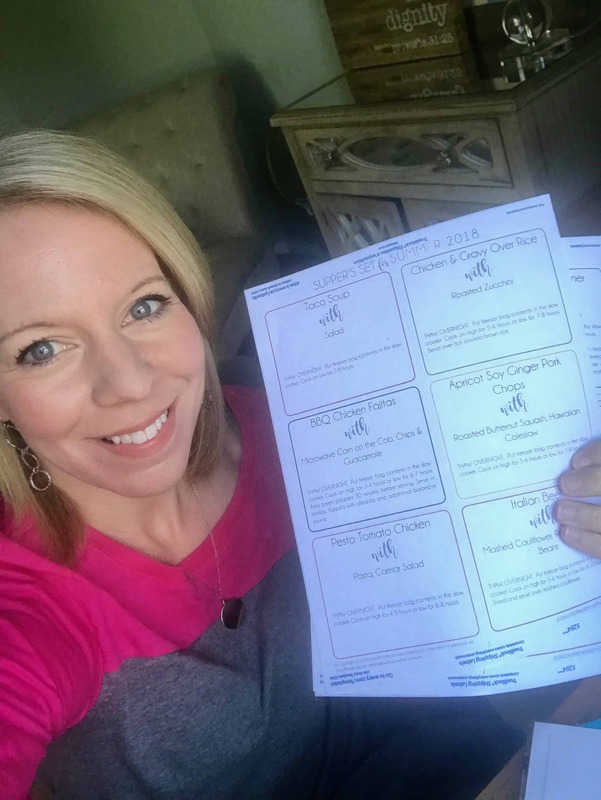 ALL FOR AS LITTLE AS $1.21 PER WEEK WHEN YOU SIGN UP FOR AN ANNUAL PLAN, or just $10.50 to try the menu plans out for one month PLUS you'll get an ENTIRE SUMMER of freezer recipes AND our free printable labels! Head on over HERE to sign up if you're not set up already, and let me know what you think!